The New York Times reports, "Canada's ambassador to China has resigned following a series of diplomatic missteps that further complicated already strained relations between the two countries. 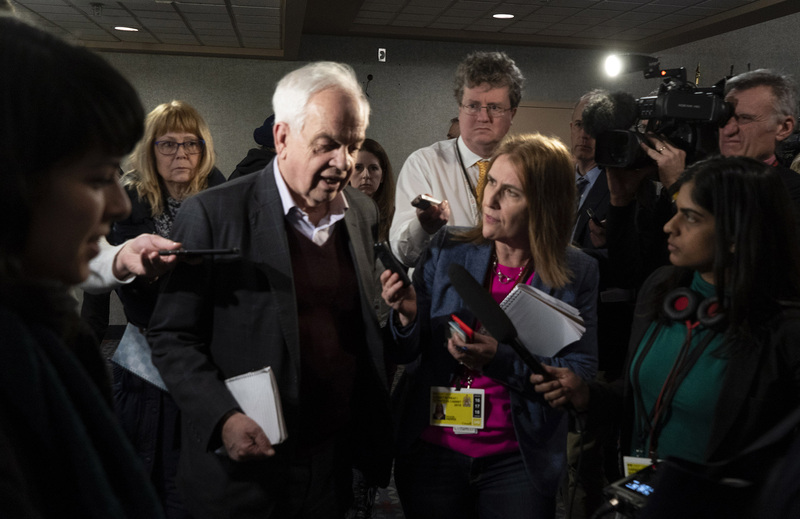 The resignation came days after the ambassador, John McCallum, stunned seasoned diplomatic observers by saying that Meng Wanzhou, the chief financial officer of the Chinese telecom firm Huawei who was arrested in December by Canadian authorities in Vancouver at the United States request, stood a good chance of avoiding extradition to the United States. His public assessment of the sensitive and high profile case came under sharp criticism, including from the leader of the opposition conservative party Andrew Scheer, who said Mr. McCallum's comments threatened to politicize the case and called for him to be fired." The New York Times reports, "Over the past year, the United States has embarked on a stealthy, occasionally threatening, global campaign to prevent Huawei and other Chinese firms from participating in the most dramatic remaking of the plumbing that controls the internet since it sputtered into being, in pieces, 35 years ago. The administration contends that the world is engaged in a new arms race — one that involves technology, rather than conventional weaponry, but poses just as much danger to America's national security. In an age when the most powerful weapons, short of nuclear arms, are cyber-controlled, whichever country dominates 5G will gain an economic, intelligence and military edge for much of this century." The Washington Post reports, "A Chinese court sentenced on Monday one of the country's most prominent rights defense lawyers to 4½ years imprisonment, capping a years-long campaign by the government to shatter a burgeoning civil rights movement that challenged its authority. Wang Quanzhang was found guilty of subversion of state power, a court in Tianjin said, in what was a relatively light sentence for a figure who played an early role in training grass-roots lawyers and activists to wield the law — and perhaps more worryingly for authorities, social media — in their duels with officials over land seizures, police brutality and the prosecution of banned religious groups."